Jebin John from Kottayam, B.Sc Graduate. TROUBLESHOOTING LINU.. THUNDERBIRD WINDOWS LIVE MAIL MAKING OF CUSTOMIZED..
are one of expert skill area's of Jebin John . 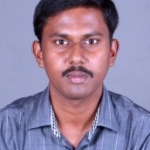 Jebin John is working in IT Hardware industry.